I am the Managing Member of Tax Resolution Services, LLC. 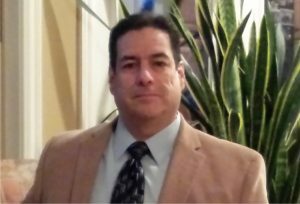 I am a U.S. Navy veteran and a licensed CPA with more than 24 years of diverse financial accounting experience. My areas of concentration are small business, tax, and financial/retirement planning needs. After serving my country I studied at the Michael G. Foster School of Business at the University of Washington, where I earned dual degrees in Business Accounting and Political Science. I began my accounting career working as a bookkeeper and payroll clerk for a small chain of retail car audio sales and installation stores, Sound Advice of WA. I then worked in public accounting with both Moss-Adams, LLP and Blue and Co., gaining a wealth of experience in audit, tax, and business valuation services. My clients included high net worth individuals, family owned businesses, as well as large, well known organizations such as United Way, YMCA, Teamsters Union, Louisville International Airport, and Blue Grass Airport of Lexington, KY. I also worked as a tax analyst for American Commercial Barge Lines, one of the largest and most diversified marine transportation service companies in the world. I have the ability to provide a wide range of accounting services; however, my focus is on small business, tax, and financial/retirement planning services. I specialize in these areas because I really enjoy the work and I enjoy helping people improve their lives. I currently serve as the Treasurer for the Dove Fields Homeowners Association and have served on other non-profit boards such as the Dream Factory of Louisville. I am a member of numerous professional organizations including the American Institute of Certified Public Accountants, Certified Global Management Accountants, and the Kentucky Society of Certified Public Accountants. I am blessed with a terrific family and enjoy spending lazy days on the beach. I love to read and am always looking for new investment opportunities.